Welcome to the Primary School of the American International School of Lusaka. ​As an IB school, authorized to offer the Primary Years Programme, we aim to provide a holistic education for children. At AISL, we believe that every child is unique. They are infinitely curious, eager to explore new territories, and have the desire to do their best. With differentiated support, children are extremely capable in their own individual ways and our goal is to guide them socially, emotionally, culturally and academically. As an inquiry-based program, we aim to nurture a love of learning by building confident, resilient students. 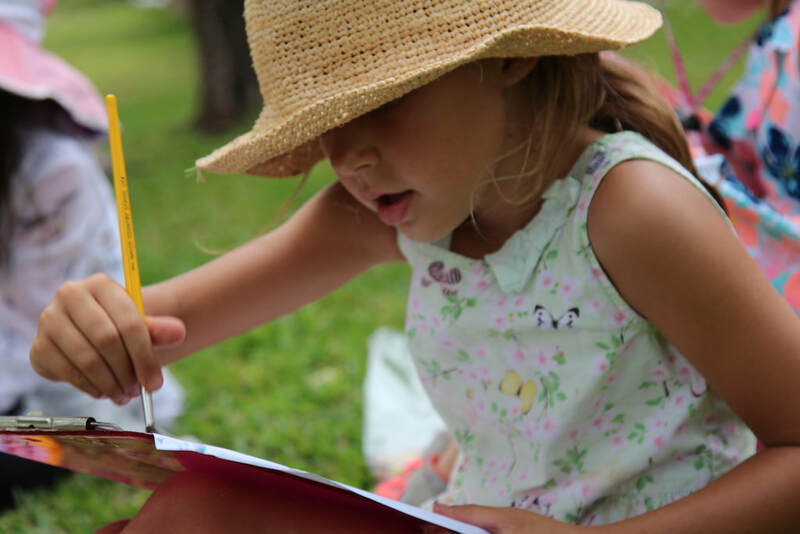 We believe that children learn by actively participating in authentic experiences both in the classroom and in our local community. Through reflection, critical thinking, and creative problem-solving, they become competent in making informed choices as part of their learning process. We believe that an effective education provides exposure to different skills for empowering lifelong learners. At AISL, we aim to provide a supportive environment based on trust, respect, integrity and open communication with both the students and the families. Strong family-school partnerships are vital in creating a foundation between home and school. We define parent participation as working together as a team to maximize learning for our students through healthy, realistic expectations, both in the classroom and at home. When parents are involved in their child’s education, the conversations around learning are deeper and more frequent. We hope that you will be a part of our diverse learning community in whatever way you can. Your questions, dialogue and feedback help strengthen us, not only as a school, but as a community. 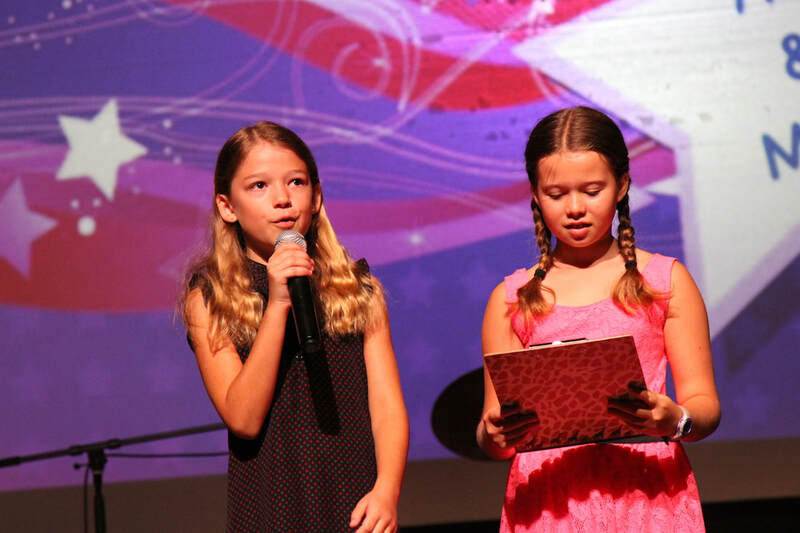 Whether you are new to AISL or returning for another year, we know from time to time you will have questions regarding all that is happening in the Primary School. Please take the time to read through the Primary School Handbook. We believe it will serve as a useful guide in answering many of the questions you may have about the classroom, the curriculum, and the daily routines in the Primary School. For any further questions, please do not hesitate to contact us. ​​Once again, welcome. I look forward to working together with you over the year. 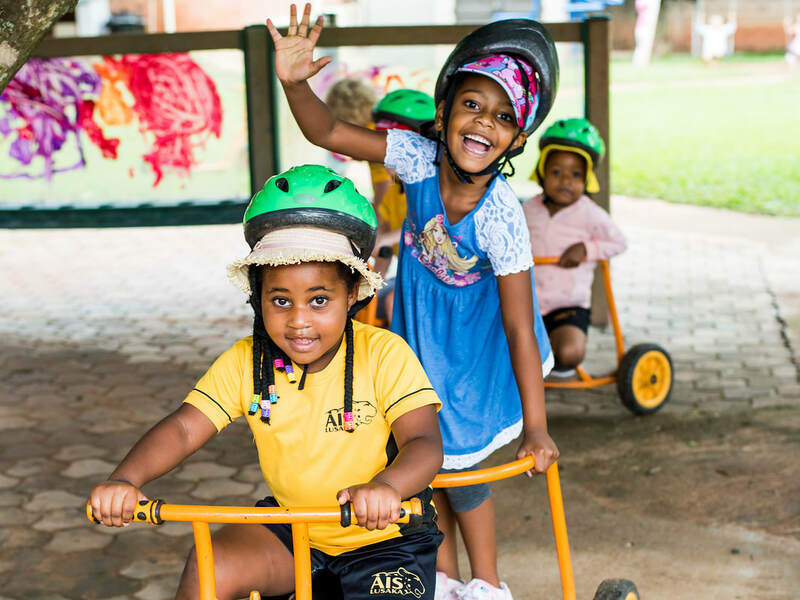 The IB Primary Years Programme (PYP) for children aged 3 - 12 nurtures and develops young students as caring, active participants in a lifelong journey of learning (www.ibo.org). It focuses on the development of the whole child as an inquirer, both in the classroom and in the world. 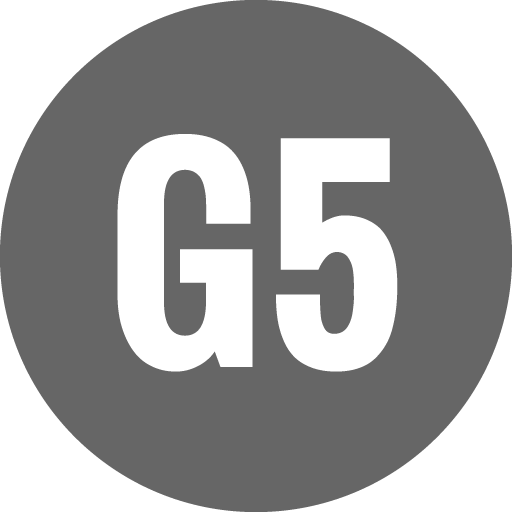 It is a curriculum framework guided by six transdisciplinary themes of global significance, explored using knowledge and skills derived from six subject areas, as well as approaches to learning, with an emphasis on inquiry. Focus is on the Approaches to Teaching and Learning (ATL’s) including; learning skills of thinking, communication, Social, self-management and research skills; and teaching skills that are, inquiry based, conceptual, have local and global contexts, focused collaboration, differentiated and informed by assessments. The design of the PYP is sufficiently flexible to accommodate the demands of national or local curriculums. (1) AISL is not required to follow a designed national curriculum, as such, we aim to develop curriculum that meets the diverse needs of our international learners. In 2015 we adopted the Common Core State Standards (CCSS) in Mathematics(2) and made some revisions and additions to support the learning of our students, learners in Zambia. 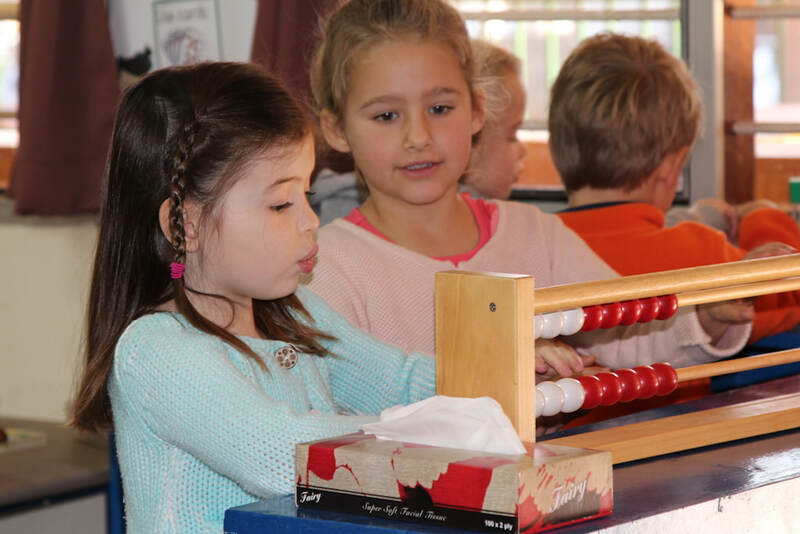 Additionally, we included standards for Pre-Kindergarten(3) and related the CCSS to the overall expectations of the PYP mathematics scope and sequence. In March 2019 we reviewed the conceptual understandings as well as the validity of the standards in place. The CCSS define what students should understand and be able to do by the end of each grade and the CCSS for mathematics place an emphasis on applying mathematics to the real world. 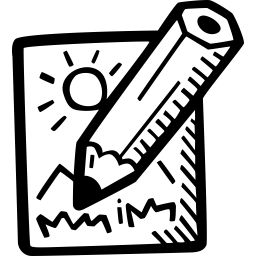 Mathematical instruction includes both the proficiency in, and processes of, mathematics. The CCSS are a shift in the direction of mathematics education. Students are no longer learning content as isolated facts, but rather as tools to solve a wide range of problems. 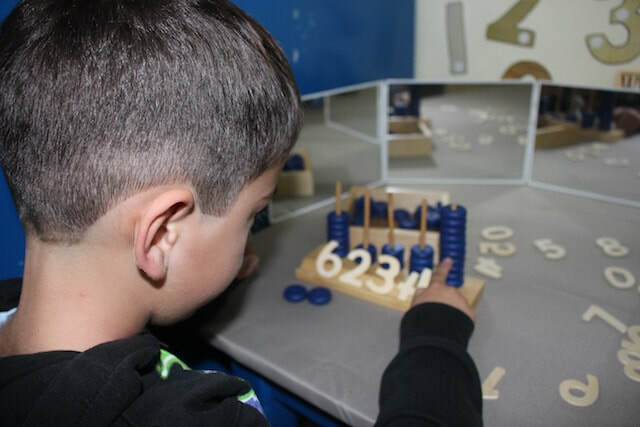 Mathematical understanding and procedural skill are equally important, and both are assessable using mathematical tasks that are developmentally appropriate. To reflect the unique learning journey of each of our students, we support each child through a developmental approach. In 2018, we modified our Math standards to better meet the varied developmental needs of our students. 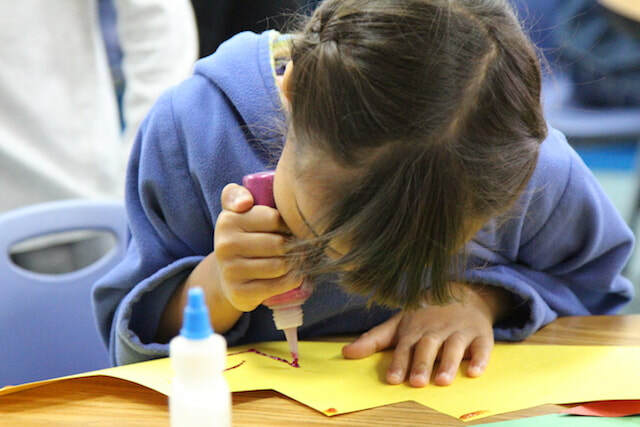 The PYP states, "it is necessary to identify the learners current developmental phase in order to plan learning experiences that will build on existing capability and understanding as to support the learner's progression on the next developmental phase." The standards define expectations of students to meet by the end of each learning phase within each Math strand. With this in mind, AISL understands that each learner is on a developmental continuum and that a student will be working towards an appropriately challenging goal within a variety of phases. Students build upon a strong foundation of previously mastered standards. A progression of knowledge and skills can be viewed in the Early Years Phase 0A to Upper Primary Phase 5 domains. The standards define what students should understand and be able to do by the end of each phase. The standards are divided into domains which are larger groups of related standards identified as Number & Place Value, Measurement & Data, Geometry, and Operations & Algebraic Thinking. Our Mathematics continuum can be viewed through the parent portal. The design of the PYP is sufficiently flexible to accommodate the demands of national and local curriculums. AISL is not required to follow a designed national curriculum, as such, we aim to develop curriculum that meets the diverse needs of our international learners. In 2015 we adapted the Common Core State Standards in English Language Arts ensuring that standards were applicable to the learning of our students. 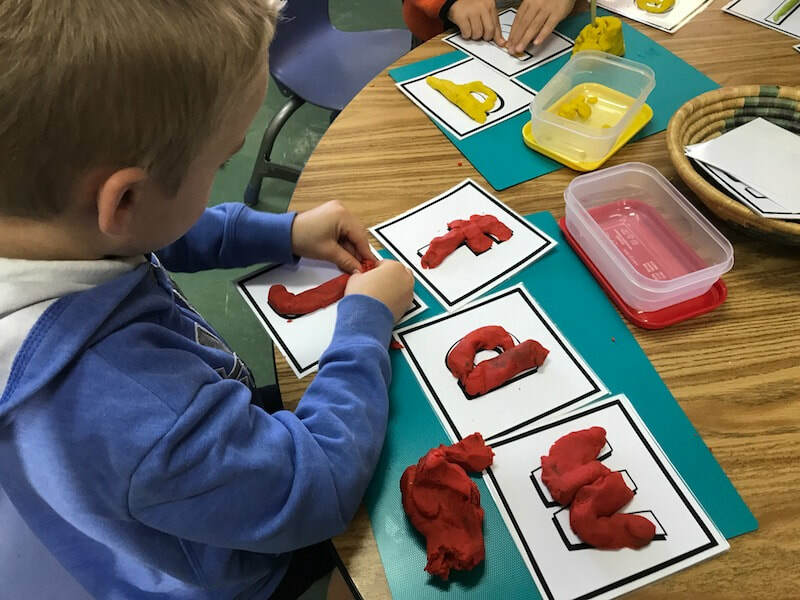 Additionally, we included standards for the Early Years based primarily on the Creative Curriculum as well as supplemental standards from New York Standards. The IB Language Scope and Sequence is reflected through the conceptual understandings as a base for language learning. The standards are research and evidence based, rigorous, and internationally benchmarked. 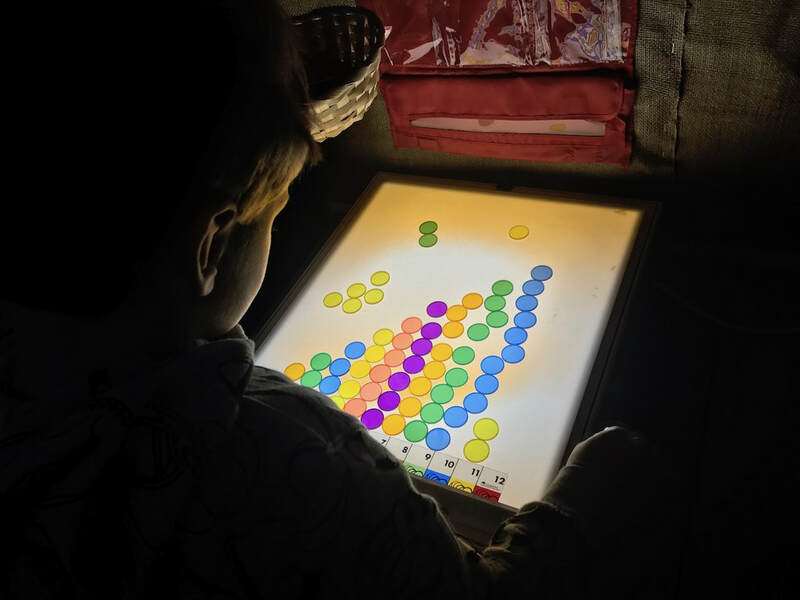 To reflect the unique learning journey of each of our students, we support each child through a developmental approach. In 2018, we modified our Language standards to better meet the varied developmental needs of our students. 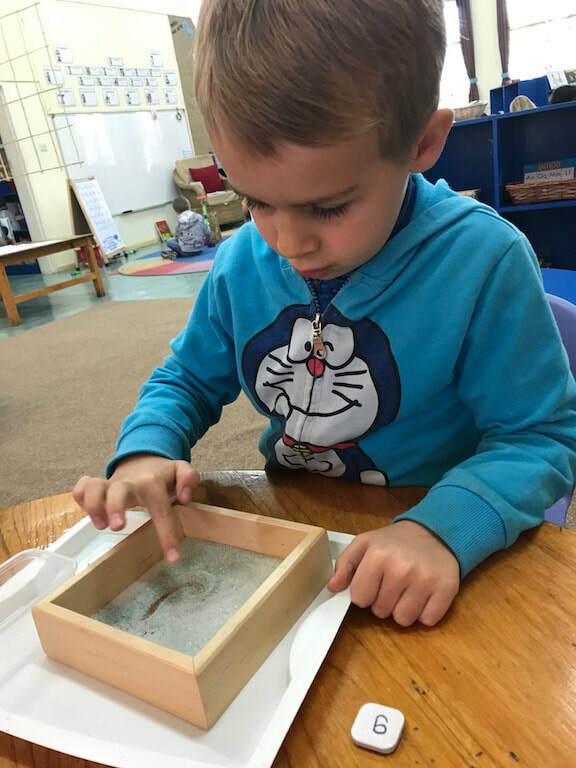 The PYP states, "In all language learning situations, it is necessary to identify the learners current developmental phase in order to plan learning experiences that will build on existing capability and understanding as to support the learner's progression on the next developmental phase." The standards define expectations of students to meet by the end of each learning phase within each Language strand. With this in mind, AISL understands that each learner is on a developmental continuum and that a student will be working towards an appropriately challenging goal within a variety of phases. 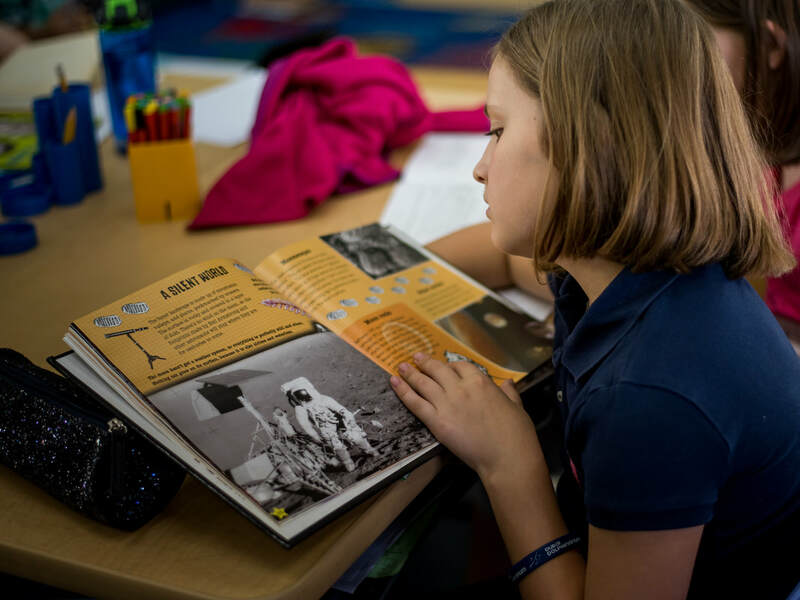 Students build upon a strong foundation of previously mastered standards. A progression of knowledge and skills can be viewed in the Early Years Phase 0A to Upper Primary Phase 5 domains. AISL’s Language standards are divided into domains which are larger groups of related standards identified as Reading Literature, Reading Informational, Reading Skills, Writing Content, Conventions, and Speaking & Listening. These learning strands are both student and teacher assessed and progress is documented on the report card. The standards provide the framework to plan and develop learning activities in literacy and across the disciplines of social studies, science, visual arts, performing arts, physical education, mathematics and information technology. Just as students must learn to read, write, speak, listen, and use language effectively in a variety of content areas and in multiple disciplines, instruction in Language is a shared responsibility throughout the school. 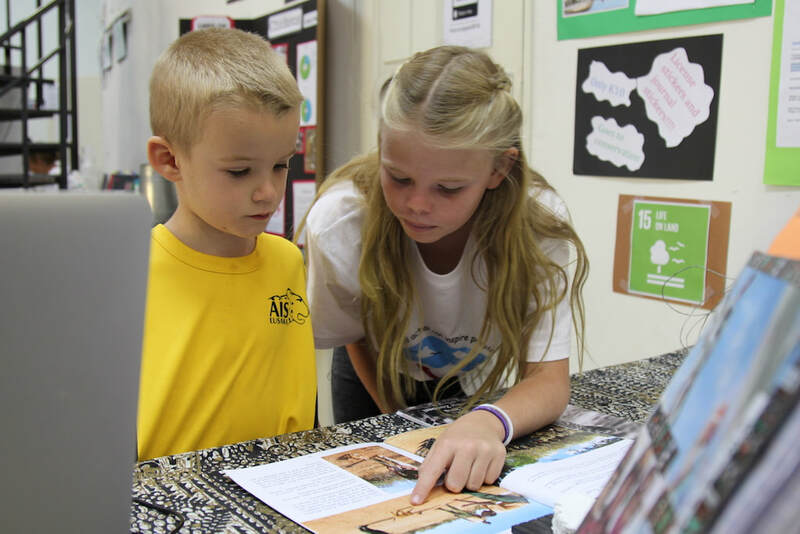 The PYP, with its inquiry-based pedagogy, provides an effective framework for teaching and learning the Language standards throughout the disciplines. Multilingualism is a distinctive trait within our international learning community. Each community member has a unique language profile including the languages through which they learned as children and the countries that they have lived. Many students speak multiple languages stemming from the language modeled by their families or caregivers as a 'mother tongue'. AISL harnesses multilingualism to facilitate learning of concepts throughout the curriculum, encouraging students to speak in their 'mother tongue' during lessons when applicable with their peers and to engage in home language conversations with caregivers based on their understanding of vocabulary and learning objectives. This language continuum forms the basis of instruction for both the language learning in the classroom as well as a resource for language instruction in our multilingual program. Our continuum can be viewed through the parent portal. 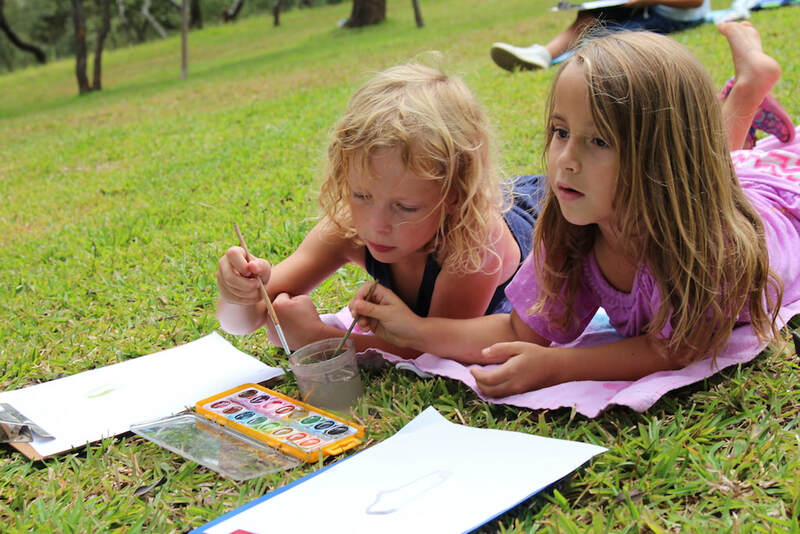 In the PYP, science is viewed as the exploration of the biological, chemical and physical aspects of the natural world, and the relationships between them. Our understanding of science is constantly changing and evolving. 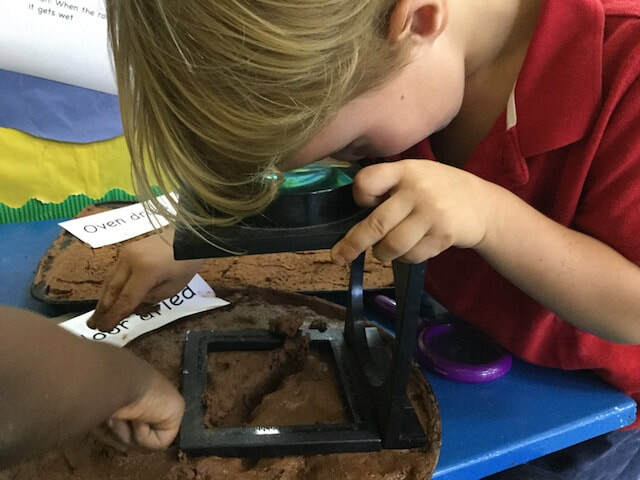 The inclusion of science within the PYP leads learners to an appreciation and awareness of the world as it is viewed from a scientific perspective. 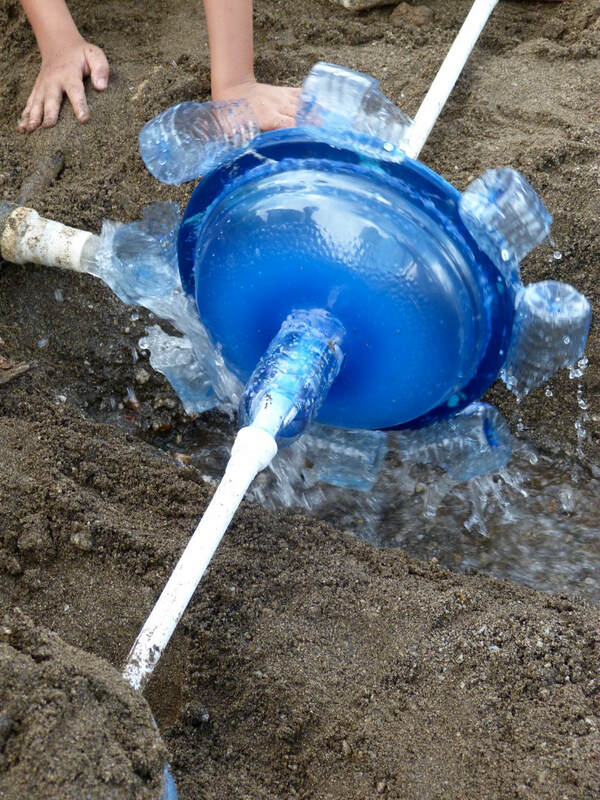 It encourages curiosity and ingenuity and enables the student to develop an understanding of the world. Reflection on scientific knowledge also helps students to develop a sense of responsibility regarding the impact of their actions on themselves, others and their world. Inquiry is central to scientific investigation and understanding. Students actively construct and challenge their understanding of the world around them by combining scientific knowledge with reasoning and thinking skills. Scientific knowledge is made relevant through its innumerable applications in the real world. The science process, by encouraging hands-on experience and inquiry, enables the individual to make informed and responsible decisions, not only in science but also in other areas of life. 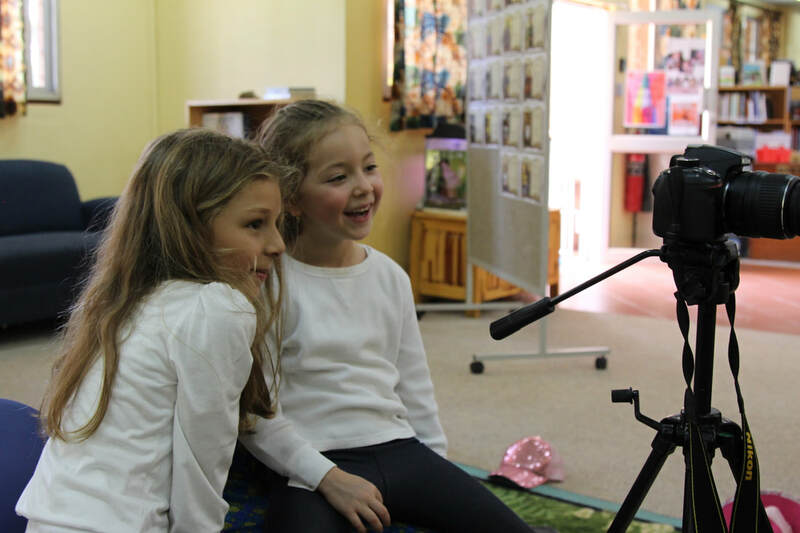 As a PYP school that implements developmentally-appropriate practice across all year levels, our multi-age setting recognizes and supports each child’s unique timeframe of development as part of their personal, social, emotional and academic needs through collaborative learning and creative thinking with peers of different ages in a shared learning environment. 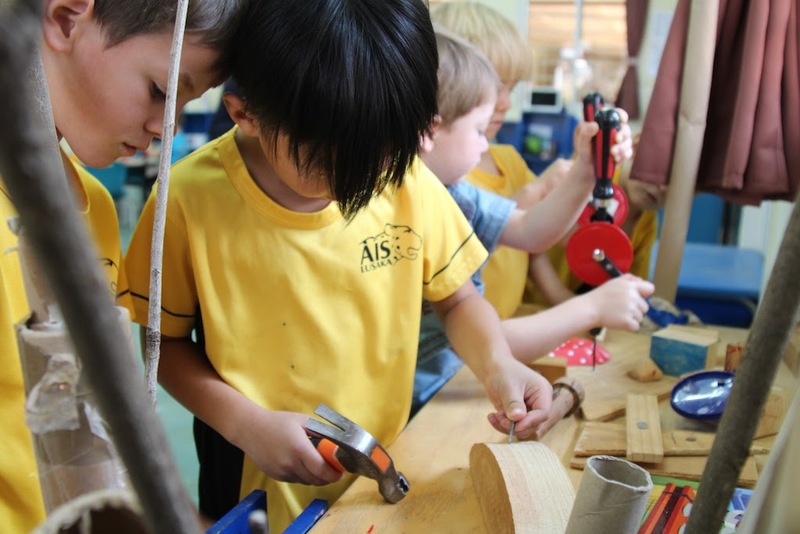 Welcome to Kindergarten where our students are encouraged to ask questions, make connections and construct their own understandings of key concepts, skills, knowledge and attitudes. Students are supported to learn by moving, touching, exploring, discovering — using their five senses as they learn about their expanding world. We believe that play is the most meaningful way young children learn. When children play they are experimenting, thinking, solving problems, forming relationships, being creative, using their imagination, learning by trial and error, planning, predicting and acting out situations that have meaning for them. Welcome to Grade 1 where our students develop as storytellers, writers, readers, scientists, mathematicians, team players, and reflective learners. Our students learn about resilience, reflection, organization, collaboration, how to question, sharing ideas, listening to others, and caring for living things all through an inquiry-based approach. They continue to build their understanding about how their choices make an impact on others, their environment, and their world. Welcome to Grade 2 where our students become rocket builders, writers, readers, presenters, scientists and historians and not forgetting accomplished mathematicians. Our inquiry approach to learning provides our students the opportunity to experience authentic, meaningful and engaging learning experiences. 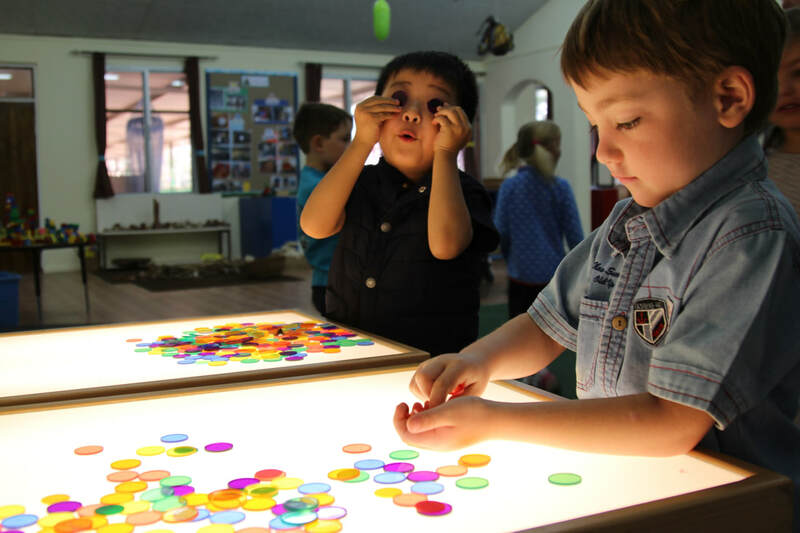 We provide a safe and positive environment that promotes a range of explorative, creative and differentiated activities. Our students question, wonder, and share their perspectives and understandings using various forms of expression. 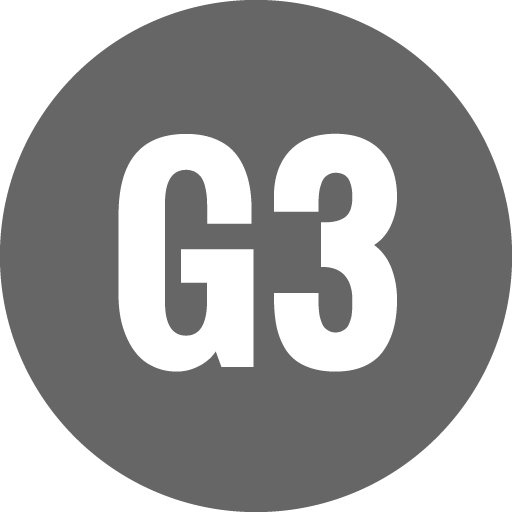 Welcome to Grade 3 where students are encouraged to innovate, create, connect with personal heros, and take action to make a difference in the lives of others. Students take part in meaningful educational field trips to important sights in Lusaka and interview people in local non profit organizations. A highlight of the year is a school sleepover where students are further connected with the stars, deepening their understanding of the Earth and its atmosphere and how it is part of a complex universe. Welcome to Grade 4 where we explore our core curriculum using inquiry and hands-on experiences to teach balanced literacy, science, social studies, units of inquiry and maths. 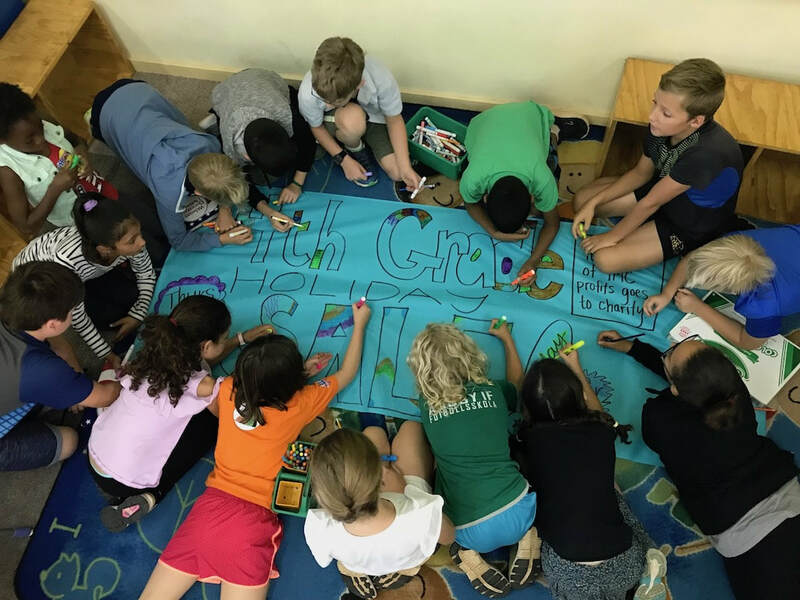 We create a cohesive community within our grade level and find how we are connected to our global community. Real life experiences add depth to our learning from visiting places of worship to learn about personal beliefs, inviting specialists in our classroom to teach us about specific topics, traveling to zoos to learn about animal adaptation, setting up class “businesses” to understand how businesses really work throughout the world, etc. 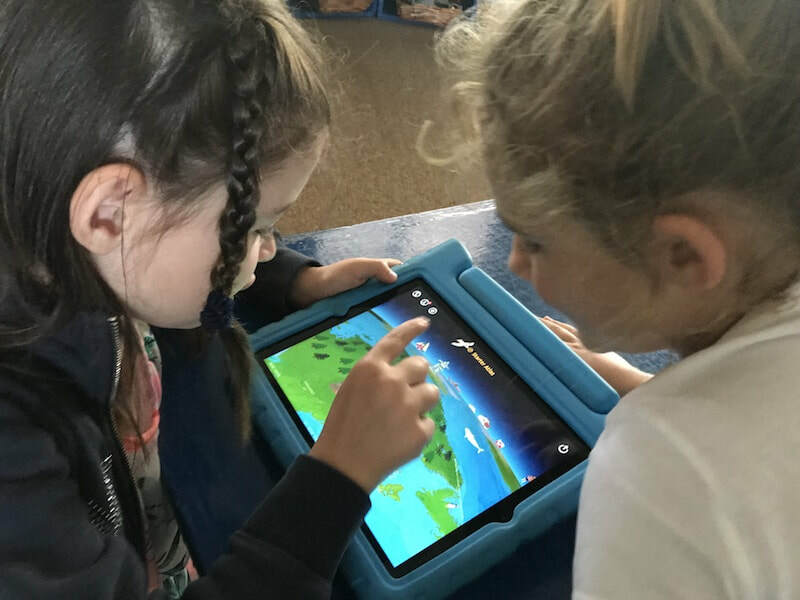 We use technology to enhance children’s learning by creating movies, slideshows, and presentations through various apps and programs so they can show their underlying understanding and we can assess what they learned. ​Within the unit of Inquiry, How the World Works, when we investigate different forms of energy, we are lucky enough to have the real life experience of Zambia generating most of its electricity from hydropower. In connection with this, we visit Kariba Dam, in Siavonga, which is the location of one of Zambia’s largest hydroelectric power stations. Standing on the dam wall between Zambia and Zimbabwe is a powerful experience for the students as they connect their learning to the reality of how electricity is created. This two-night trip is filled with adventure and inquiry and remains a highlight for every fourth grader. Welcome to the last year of Primary School, which is an exciting time of growth in many aspects of children’s lives. You will notice growth and change academically, socially and physically. The culminating celebration in the Primary Years Program is the Exhibition. This is a student-centered inquiry chosen by students based upon their interest and guided by teachers and adult mentors. Inquiries take students on a personal journey of discovery, leading them to new learning and a call to action. Students work through the Inquiry Cycle with the Exhibition staging at the end of the unit. The exhibition includes a spoken, written and form of action. The Exhibition is a highly meaningful experience that all students will carry with them throughout their lives. 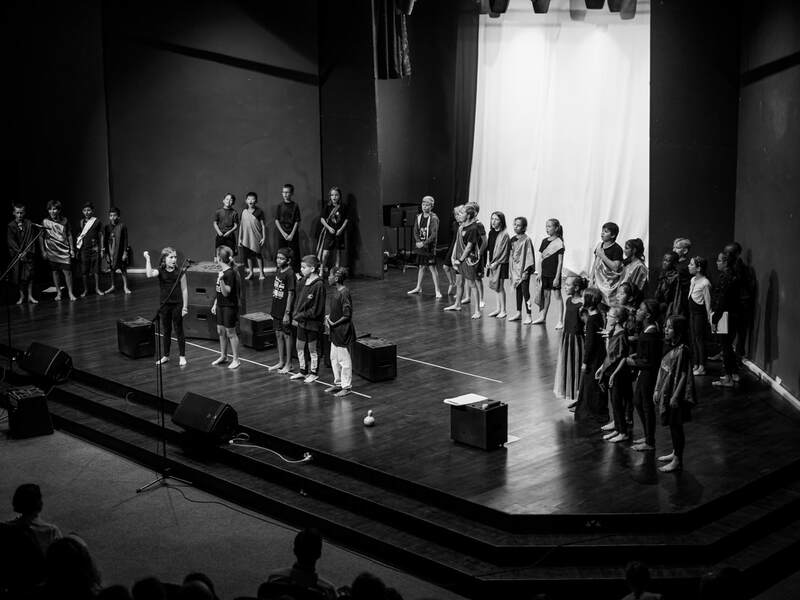 The Arts are integral to the PYP. 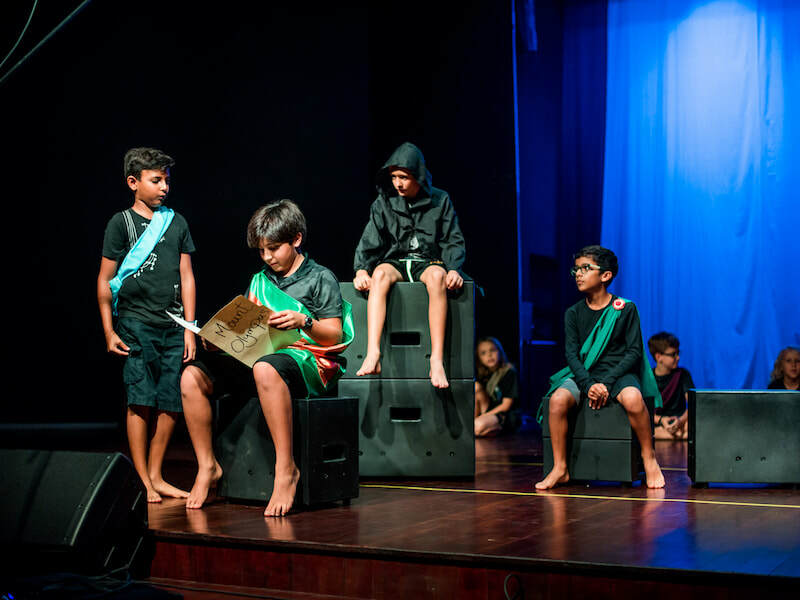 Performing Arts and Visual Arts are powerful modes of communication through which students explore and construct a sense of meaning about the world around them. 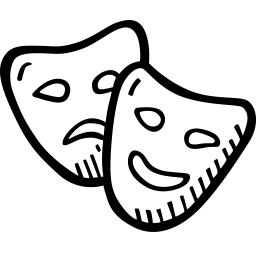 The Arts promote attitudes such as empathy and appreciation, and skills such as analysis, that help us see the uniqueness of each person as well as explore the commonalities that connect us. 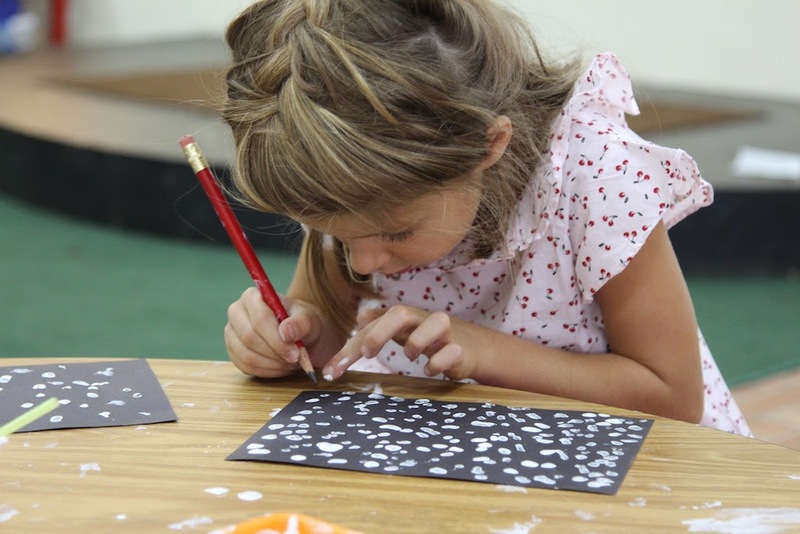 ​The Arts engage students in creative processes through which they explore and experiment in a continual cycle of action and reflection. Reflecting on and evaluating their own work and that of others is vital, and empowers students to take intellectual risks. 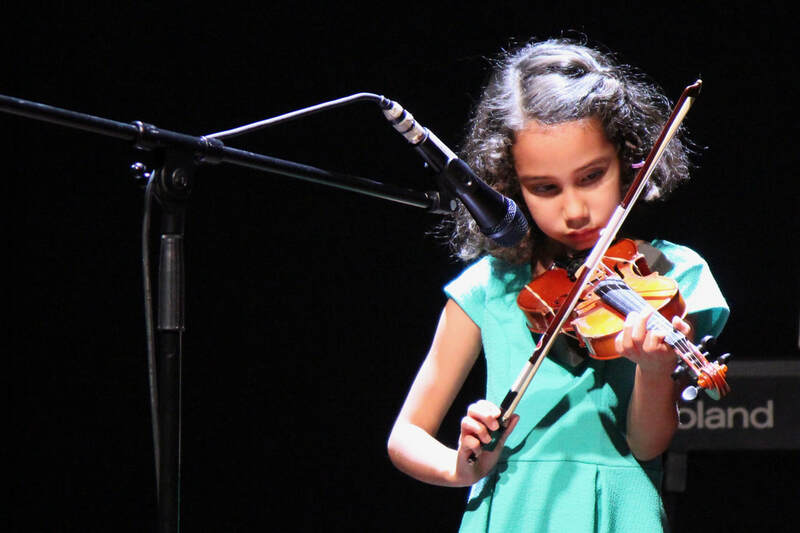 Exposure to and experience with the Arts opens doors to questions about life and learning. The process of making and appreciating the Arts is gratifying and will encourage students to continue creating throughout their lives. 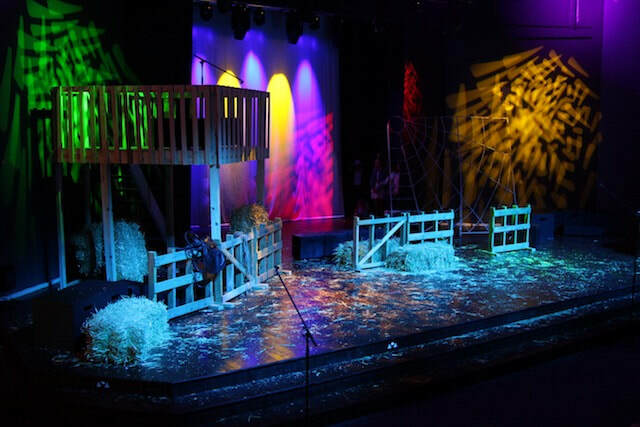 The Arts develop innovative thinking and creative use of technologies, and in so doing prepare students to participate in this multifaceted world. At AISL, we believe that the purpose of teaching modern languages is to create a community of lifelong learners who will develop oral and written linguistic skills and the cultural understanding to communicate successfully and function in all aspects of a multilingual global society. 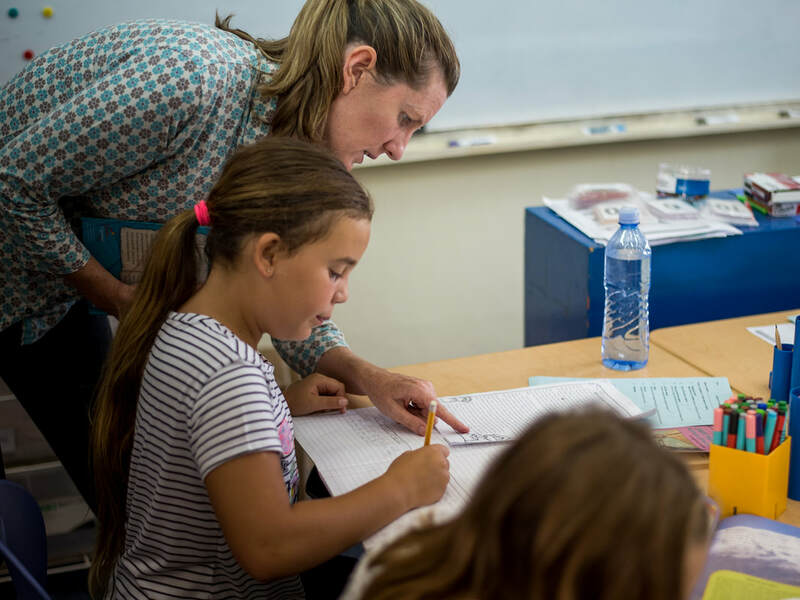 The PYP Modern Language teachers employ the communicative approach in the classroom, where the students are not simply learning the language, but also how to use it. 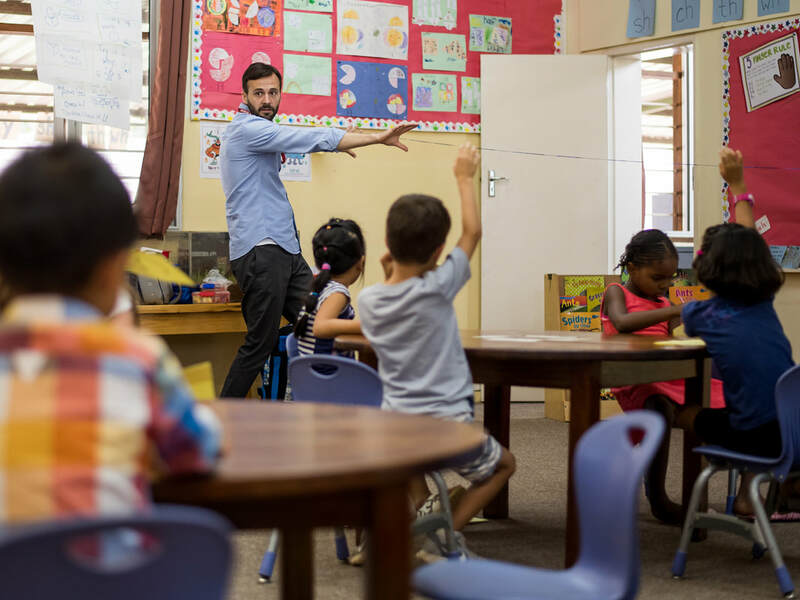 Instruction primarily given in the target language, provides authentic examples of how the language is used, encourages learners to construct meaning and provides the opportunity for authentic, meaningful communication. 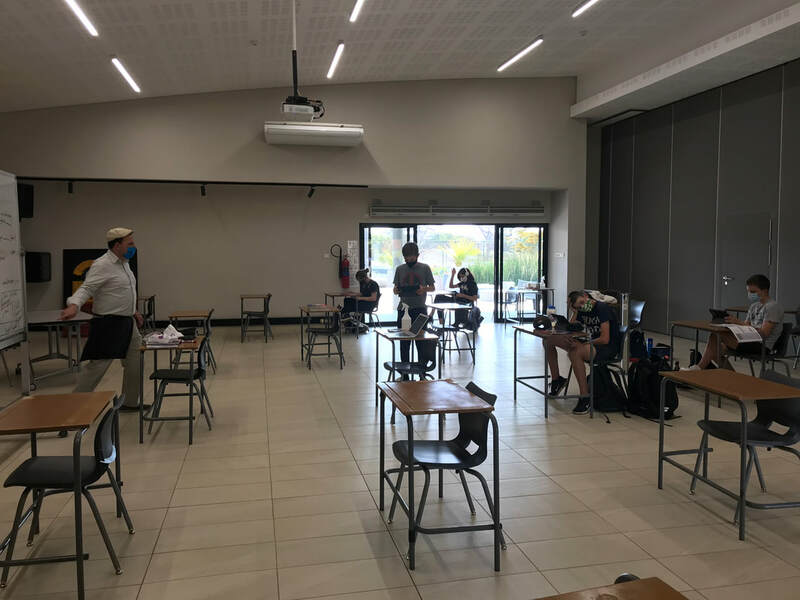 The department fosters cultural understanding by exposing students to a variety of materials in their original language and social context, and by encouraging them to undertake cultural experiences that broaden their vision as world citizens. We recognize the importance of language as a window to human understanding and strive to instill in our students the critical thinking skills necessary to discern and appreciate cultural differences. 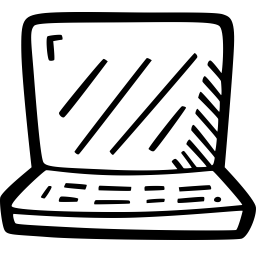 Information Technology Fluency combines technology and informational literacy. The ITF teachers collaborate across the grade levels to provide students with the best practices, tools, and resources to meet the needs of each student. 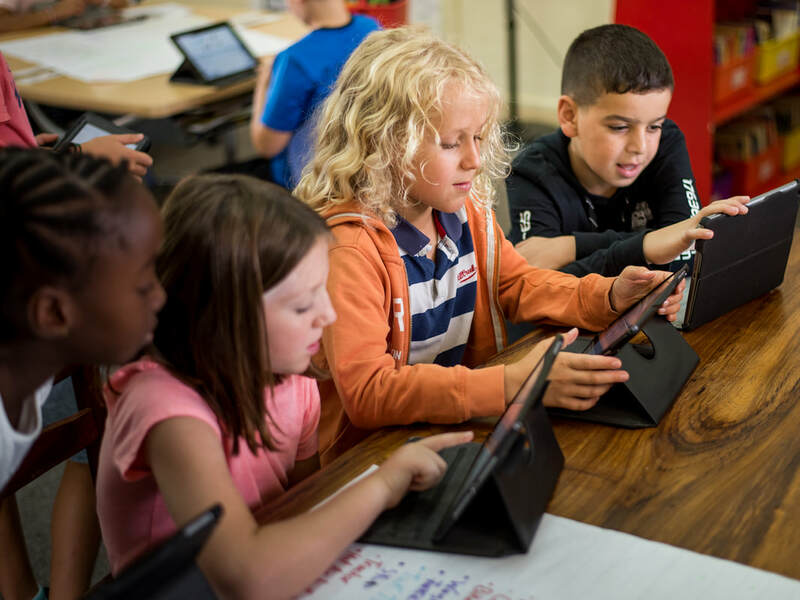 Students from Kindergarten to Grade 5 are engaged in weekly technology classes and library classes that support classroom units as well as provide collaborative push-in time during units of inquiry. 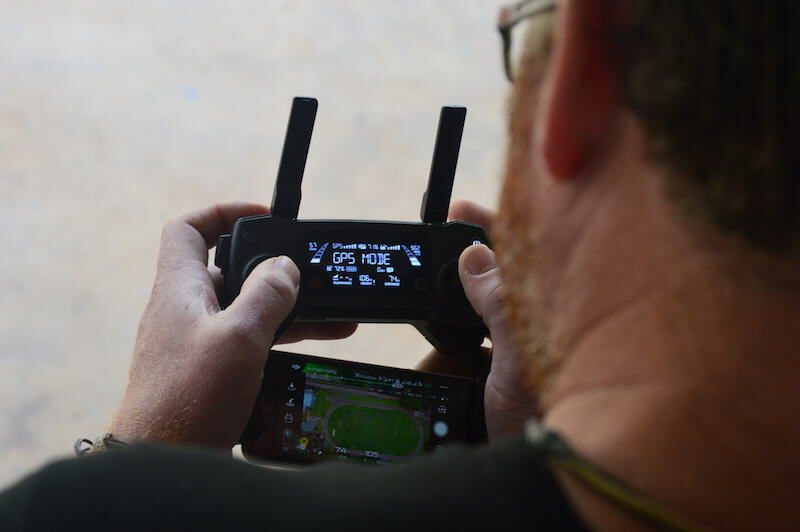 This approach provides support at the point of need as well as year round reinforcement of skills including learning how to be responsible digital citizens. Personal, Social & Physical Education at AISL provides children with opportunities to learn and develop various skills required to play a variety of sports and games successfully. 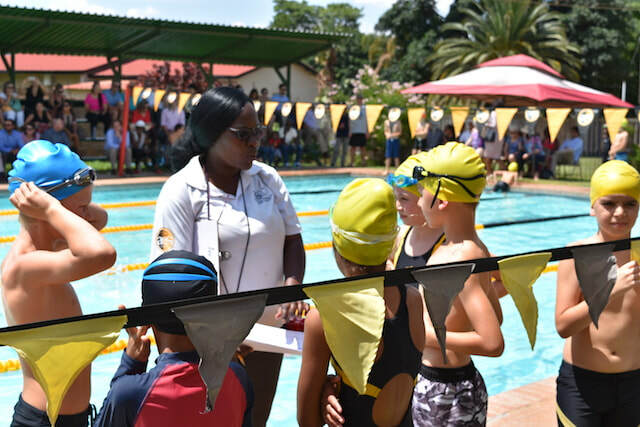 Each child is given an opportunity to recognise their full performance potential through engaging in sporting activities, in an environment that is fun and safe. 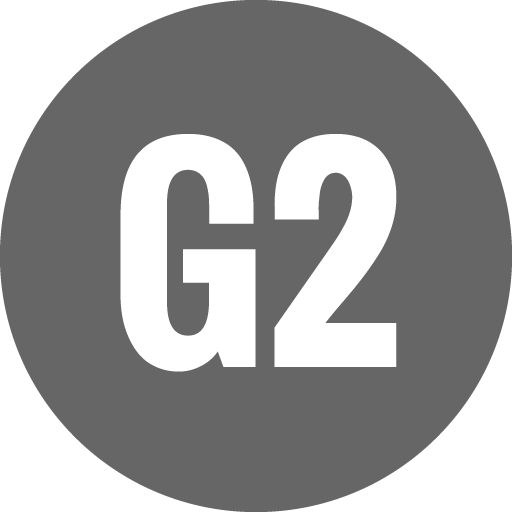 Its purpose is to develop a combination of transferable skills promoting physical, intellectual, emotional and social development; to encourage present and future choices that contribute to long-term healthy living; and to understand the cultural significance of physical activities for individuals and communities. 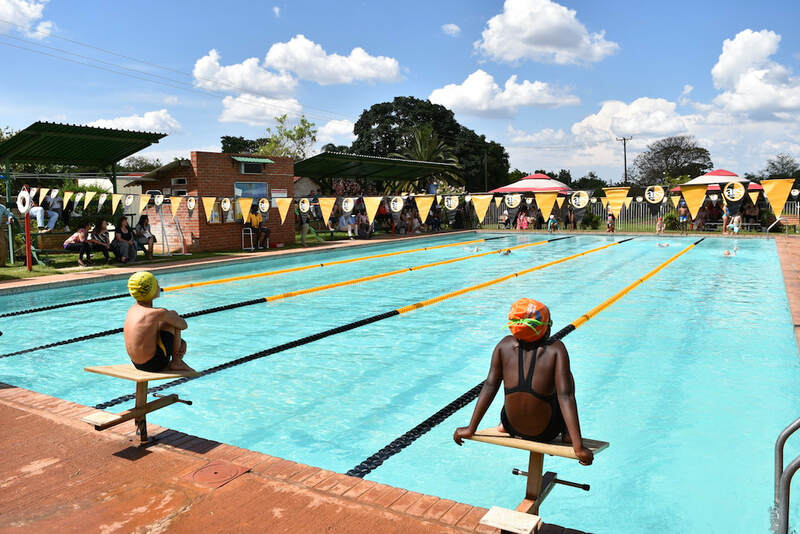 AISL supports the philosophy of inclusion and serves the educational needs of a diverse community of learners in Lusaka from a range of cultural and educational backgrounds. Admission is open to students who demonstrate the ability to access and benefit from a challenging, international, English language education in a mainstream environment. AISL is equipped to provide support for students, representing a wide range of learning challenges. 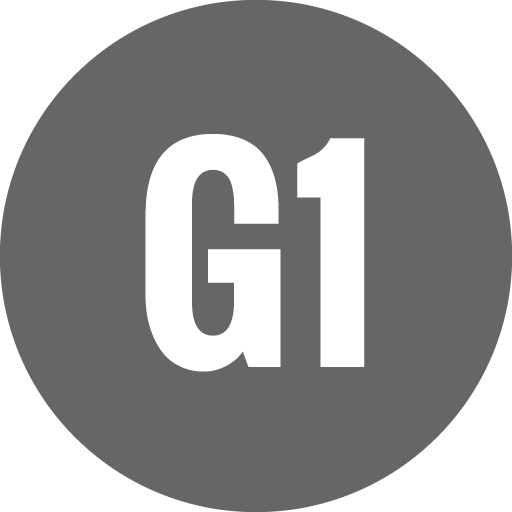 A blend of one on one support both in class and outside of homeroom class as well as small group instruction approaches are used to meet the needs of learners. All students at AISL develop their English through being immersed in the full academic program of the school. 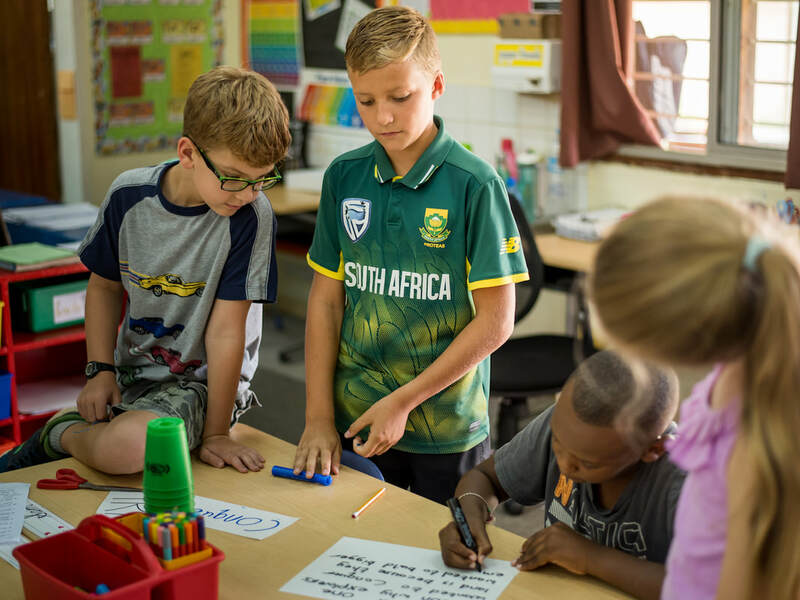 Students in Primary School, who have been identified as needing extra support in their English language acquisition, may receive additional instruction from the English as an Additional Language Specialist. The EAL support program at AISL is designed to address the English language needs of students using a ‘pull out’ and ‘push in’ model, depending on a student’s language level. When a child is new to English or in the beginning stages of their language acquisition, they receive intensive language instruction during pull out sessions, outside of the homeroom classroom. As a student’s English language level progresses to an intermediate level, a child will receive push in support provided by the EAL Specialist, within the classroom setting. ​EAL students are transitioned from the EAL program when they have reached a level of English that is comparable to their native English speaking peers. A transitioned EAL student continues to receive support in their English language development through differentiated instruction in their homeroom class. AISL believes in supporting the social and emotional needs of our students. Our Primary School Counselor supports all of our grade levels from ELC - Grade 5 through regular Guidance lessons, parent support sessions, and small group work with students. The counselor also sponsors school-wide initiatives which support children in building self-esteem, confidence, and risk-taking skills. Additionally, an important part of the counselor’s job is supporting families through transitions in and out of AISL to make their experience as positive as it can be. The Primary School Guidance program is responsive to students’ needs, while utilizing curricular programs such as Kidpower for safety skills and Kelso for conflict management. The counselor is a member of the Student Support Services team and works collaboratively with teachers, teaching assistants, the administration and families to help each student reach his/her full potential. 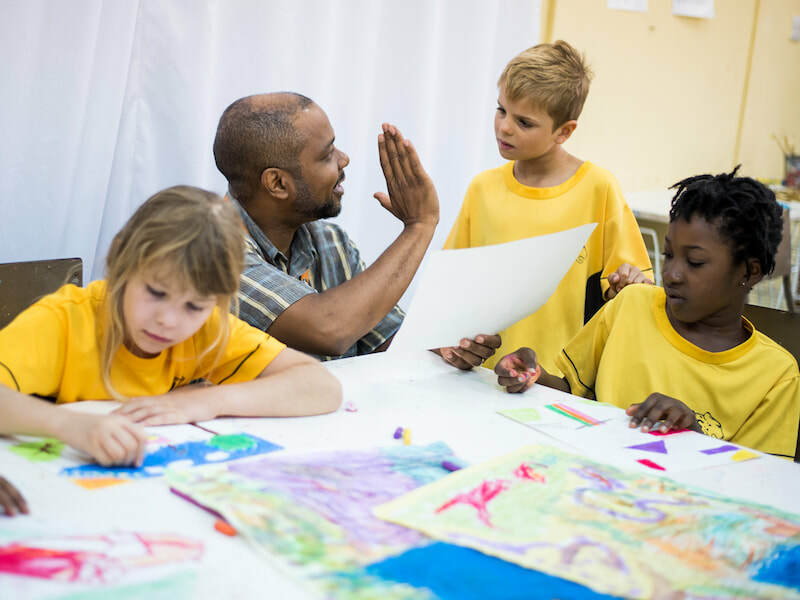 The Primary Years Program (PYP) is designed for students aged 3 to 12. It focuses on the development of the whole child as an inquirer, both in the classroom and in the world. 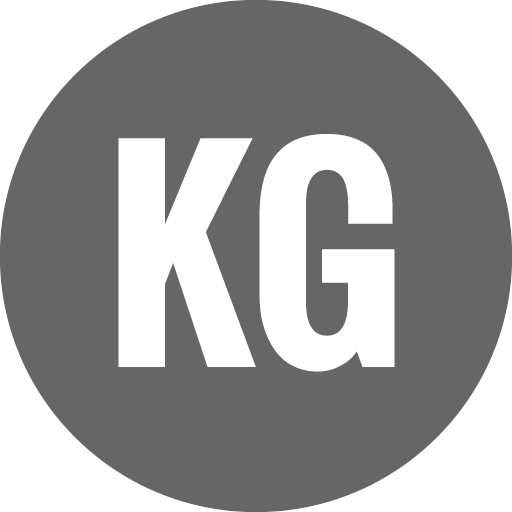 It is a curriculum framework guided by six transdisciplinary themes of global significance, explored using knowledge and skills derived from six subject areas, as well as approaches to learning, with an emphasis on inquiry. AISL has been proudly offering the Primary Years Program since 2002. 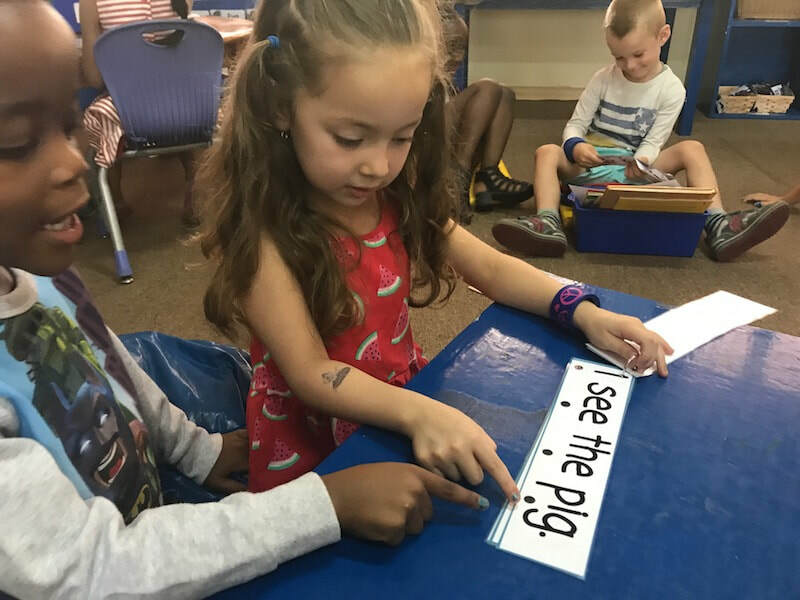 The PYP provides a curriculum framework for children from Preschool to Grade 5 that is engaging, relevant, challenging and significant for all learners with their diverse strengths and backgrounds. 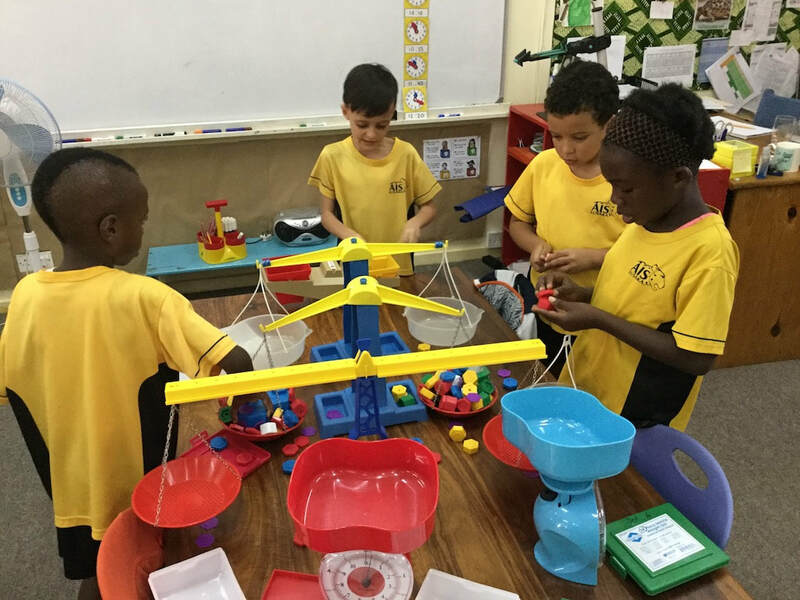 The PYP represents a combination of wide-ranging research and experience from best practice around the world that focuses on the developing child. It touches hearts as well as minds and encompasses social, physical, emotional, academic and cultural aspects of learning. 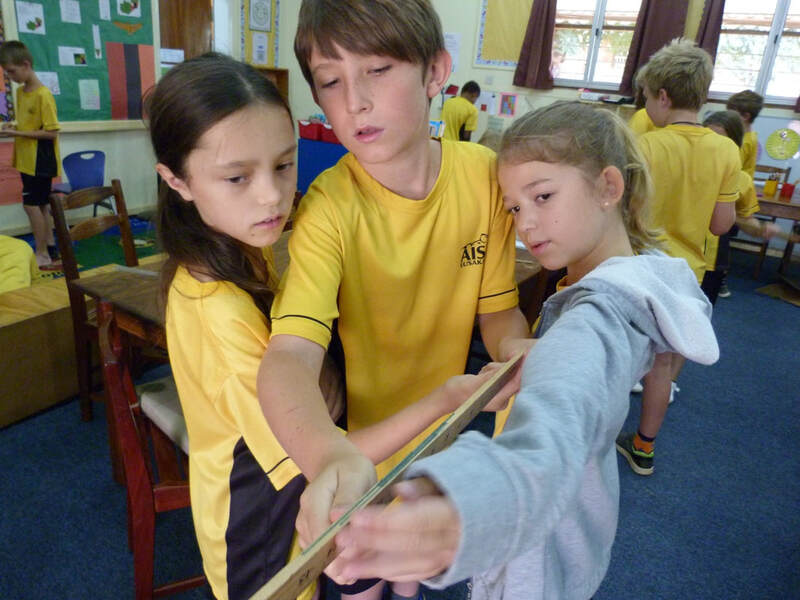 The PYP model is built around the learner profile, the IB’s beliefs and values translated into a set of learner attributes, with an underpinning theme of international-mindedness. 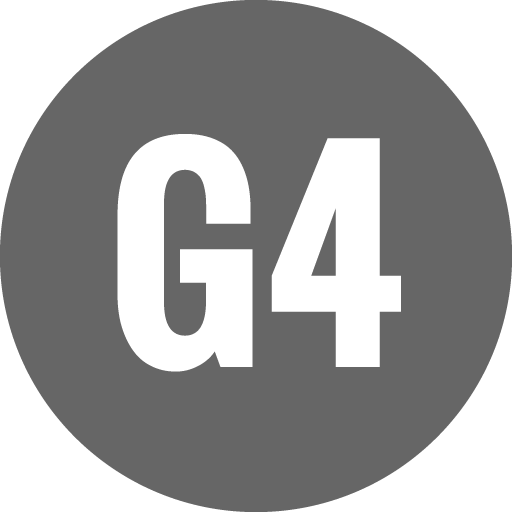 Students inquire into, and learn about, globally significant issues through units of inquiry, each of which addresses a central idea relevant to a particular transdisciplinary theme. These units collectively constitute AISL’s Program of Inquiry. 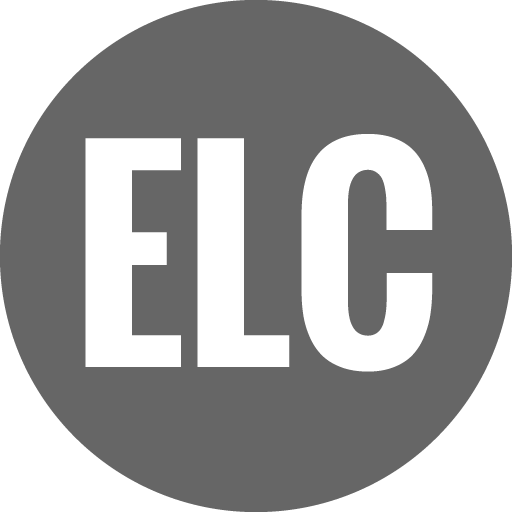 In the ELC students learn through four units of inquiry and in kindergarten to Grade 5 students inquire into six units. Students make connections, make their thinking visible, and build on learning experiences from one subject area to another. They develop conceptual understandings, build essential skills, gain knowledge, develop attitudes, and learn to take responsible action. 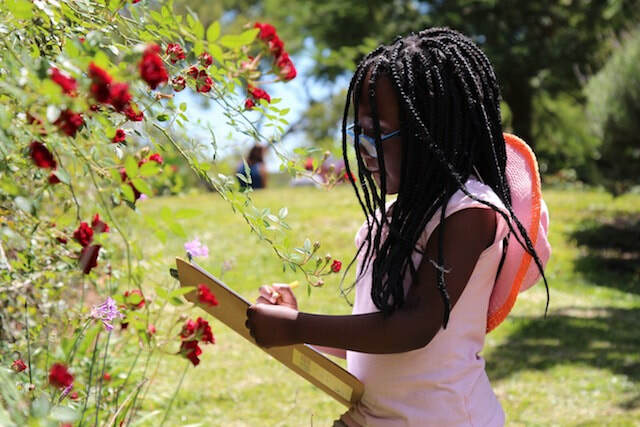 Students at AISL engage in learning both within the classrooms and in the local environment for field learning. 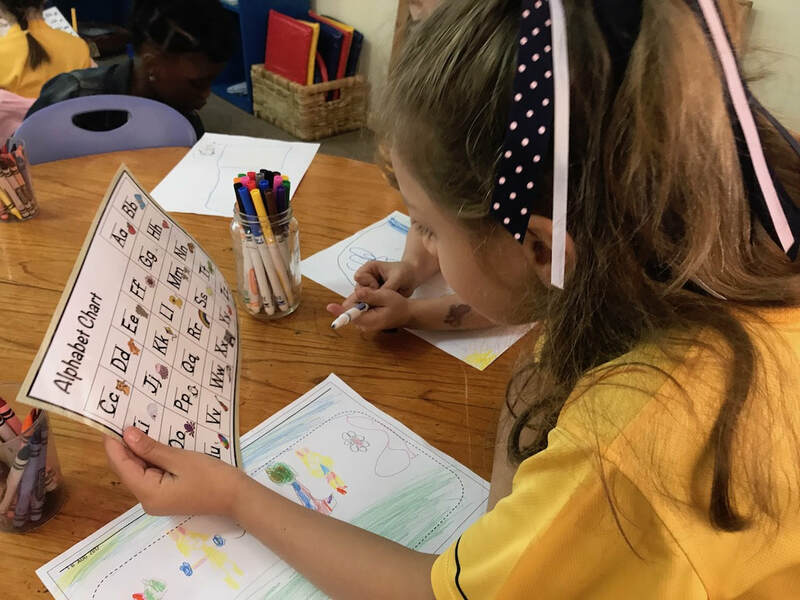 For more information about the Primary Years Programme, please contact our PYP Coordinator, Chris Kelly: ckelly@aislusaka.org or visit the IB website.